My husband used to cook this soup for me. That’s really shocking since he seldom cooks. He cooks for maybe 10 times at most and chooses to cook soup. Why? Because he just needs to put all the ingredients into a pot and let the cooker do the rest work. That’s why I cannot say he doesn’t cook at all. According to him, this soup is full of vitamin A, B and C, and that’s how it gets the name. 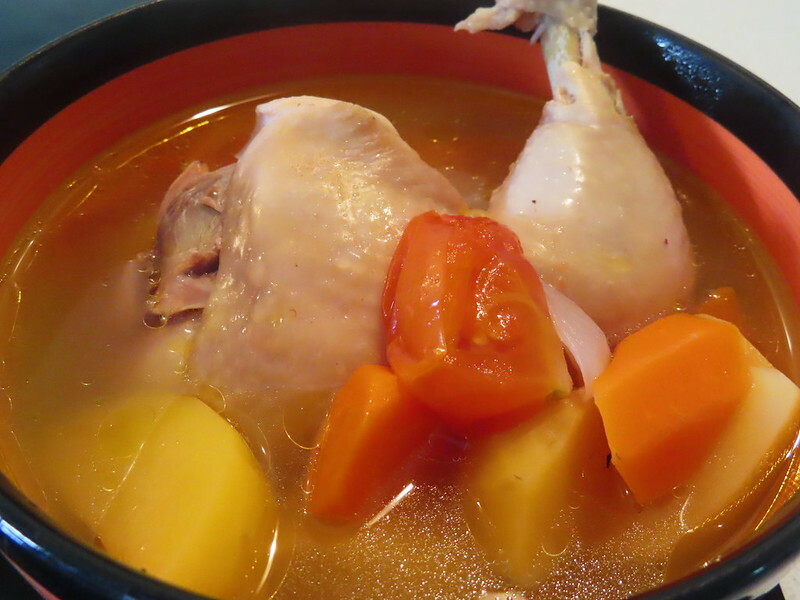 Main ingredients are chicken leg (you can even use pork instead), vegetables (tomato, potato, carrot and onion). The most complicated part is to handle vegetables. 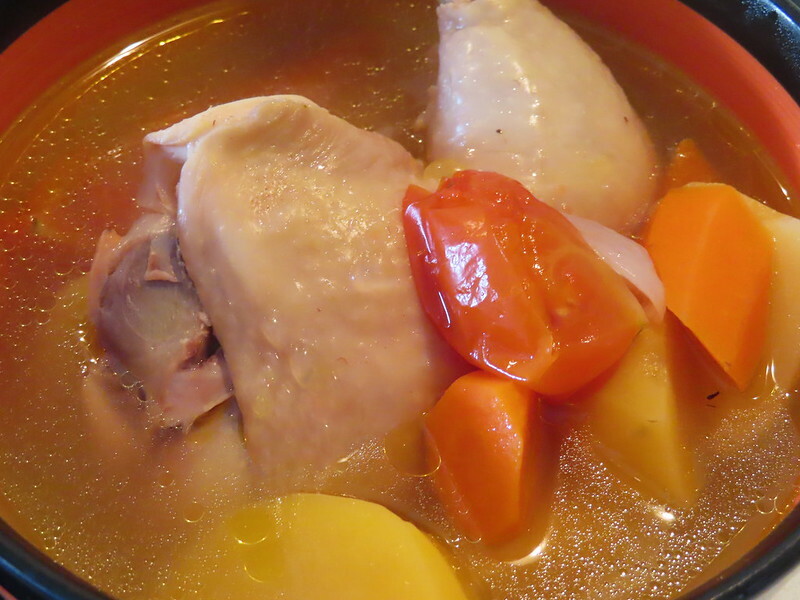 (When my husband cooked this soup last time, I cleaned and cut all the vegetable for him.) Cut vegetables into medium chunks. Put chicken leg into a pot, add in enough water. Bring to boil with high heat first. Skim the soup and remove all the dirt to make sure soup is clear. Then add all vegetable pieces in. Tun to low heat and simmer for at least 45 mins. Don’t forget to season with salt before serving. I cooked for my husband when he felt a bit sick and didn’t have appetite. He finished this whole bowl of soup. Ate up all the vegetables and chicken leg.